electrical, mechanical, plumbing, painting and carpentry a must. Advertise and fill out your ad and payment there. Thanks. people by advertising in the GAZETTE. username and password they are Case Sensitive). Subscription Type (From/To Online Only or Postal Mail Only). 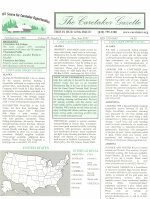 Caretaker Gazette, 3 Estancia Lane, Boerne TX 78006.
exchange resident now through February with option to renew. contact info. Prefer initial email contact. desirable however property has full amenities except dishwasher. details. Photos are available via email. days. For more information, please email Catz at XXXXXXXXXXXXX. vegan meals from the garden, private or shared rooms and camping. versatile capable and energetic. No smoking, drinking, or drugs. a separate cottage at a historic duck club in Suisun Marsh. Please call XXXXXXXXXXXXX to apply. to follow a schedule. Beautiful, quiet and peaceful environment. Occidental in the most beautiful part of west Sonoma County. keeping and maintenance of yard and hunting grounds required. have high standards of quality and impeccable references. redecorating and remodeling. You should have a driver's license. petroglyphs, tool chippings and house rock rings in the area. three weeks over Christmas. Our dog is a lovely Bassett hound. required and professional training will be a desired asset. art studio, 60 km. of ski trails in Crown land behind our place. XXXXXXXXXXXXX or fax a resume to XXXXXXXXXXXXX. huge kitchen. One hour to all ski areas, two hours to Denver. (relieve our managers). References and background check required. eco-agricultural techniques. Type of work and hours are flexible. Everyone is asked to pay their share of the food costs. visitors program, you would still be welcomed as a volunteer. of Augusta, GA in Columbia County. Many cultural activities. to talk and practice languages. There are activities you can do. email Bob at XXXXXXXXXXXXX for more details. covered 20’ x 30’ with wooden floor and two walls. would enjoy spending some splendid time here in Southern Hungary. The park-like garden just needs grass cutting and watering. at XXXXXXXXXXXXX or call XXXXXXXXXXXXX for more information. 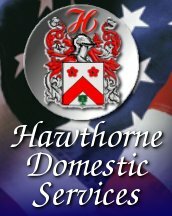 CARETAKERS NEEDED for a small private club in Hancock County. accommodations on site. Preferably a male or could be a couple. live in our earth contact house on the west side of Kansas City. the Crossroads Arts District and the historic Country Club Plaza. XXXXXXXXXXXXX is seeking volunteers to work at orphanages. swimming pools, as part of the deal. jobs anywhere in the world. doing occasional scenic painting for movies. there I learned wood carving from a local artist. carved Saint Bernard with his St. Bernard dog for the Hotel St.
women’s retreat center outside of Cincinnati. me from carefully reading every email I get from the Gazette. errands, coordinating with contractors, and indoor plant care. Maine and Vermont, and frequent travel to them will be required. benefits and newly-renovated one-bedroom apartment. to XXXXXXXXXXXXX or mail a letter and resume to: XXXXXXXXXXXXX. have a Children’s Camp. I also lease horses for hunting. state-of-the-art home, as well as being internet savvy. HORSE TRAINING ASSISTANT wanted. Room and board provided. break in July/August. You pay phone/internet if you want it. CARETAKER POSITION available in the Albany/Saratoga NY area. rent-free one bedroom private cottage on the property in Bedford. hiking/biking/cross-country ski trails, lakes, ponds and streams. part-time farming/part-time youth education internships. knowledge of horticulture to help maintain the campus gardens. small recreation farm/estate in the Cashiers/Highlands area. pets. Job includes salary, one bedroom house on premises. per week in exchange for housing in a new manufactured home. Horse handling experience is a must for this caretaker position. to work in a household that will be thrilled by your competence. HANDYMAN/CARETAKER needed for a girls camp and office building. private back yard with a Koi pond. Near shopping/restaurants. will be dealt with in detail under their perspective categories. maintenance, housekeeping and some cooking on a Beeville ranch. living in a remote area, about 35 miles to the nearest town. CARETAKER for a Waterfront Estate needed in York County. include daily guest cabin cleaning, laundry, grass cutting, etc. Pinedale, 22 miles from nearest plowed road needs a caretaker. artist. Home owners in SE Wyoming. Please call XXXXXXXXXXXXX. dependable, and organized. Talented 22-year-old son to assist. Washington, DC area House/Pet-Sitter available ASAP. searching for houses/properties/Inns/B&Bs to manage/caretake. excellent references. Please email XXXXXXXXXXXXX for resume. housesit, be your companion, and watch your countryside animals. relocating to Maui. All situations/arrangements considered. non-smoker non-drugs seeks long-term housesitting on East Coast. free and love animals; we are currently working in Napa Valley. Experienced caretaker seeks Estate Manager position. kind, non-smoker,  proficient in PC operation and maintenance. housesitting position. Traveling U.S. considering where to live. looking for 2 month or longer assignment in Pittsburgh area. of two. Detail oriented, proactive and good problem solver. dependability, very meticulous, and kind natured 50+ female. relations backgrounds. Maintenance, renovation, culinary skills. Mature female seeking Caretaking/housesitting position. natured, detail orientated and take pride in all that I do. breakfast property part-time. Relocation not a problem. with yours. Contact Pat at XXXXXXXXXXXXX at your convenience. Resume and excellent references available upon request. California, Colorado. Can school your horses teach kids. Reiki. articulate, positive attitude, well rounded, computer literate. from celebrities to trust-funders and most everything in between. *very* seriously as I tred lightly yet purposefully through life! and Boundaries are mutually respected! I Love My Work. months, January to March 2007 in the Albany/Schenectady area. orchestrate/implement details, supervise staff and contractors. Create warm, friendly environment. Formal or casual entertaining. art, antiques. Flower design (including tropical/orchids). Interior plant-scapes, exterior garden, grounds maintenance. Culinary skills, international travel/event coordinator. country OK. Bilingual Spanish. Creative, meticulous, dependable. experience.) Desire Win -Win relationship with kind employer. benefits to commensurate with a fifty to seventy hour work week. entry level professional with just as much respect. NORTH WEST TREASURE, city loft with a majestic view of Mt. district, restaurants, museums, and public transportation. Parkinson's, light housekeeping cooking. Dependable caring. Highway 16, Please call XXXXXXXXXXXXX for more details. more. Quarterly, 80 pages. $20/yr subscription; $6/sample issue. DO YOU OWN PROPERTY ON MARYLAND'S EASTERN SHORE? do-it-yourself information on sustainable, self-reliant living.